Ever wondered what a woman's scream looks like? How about your child's gargling noises as they choke on a small piece of asparagus at dinner? 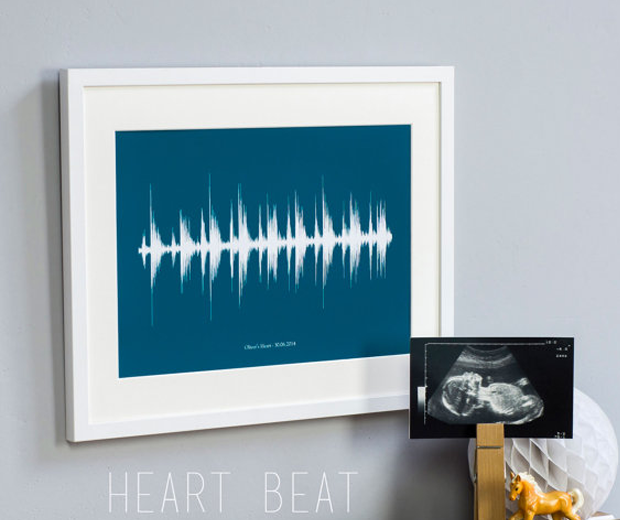 Now you can find out and save these precious moments forever, thanks to this Personalised Sound Print some clever sod on Etsy has made. 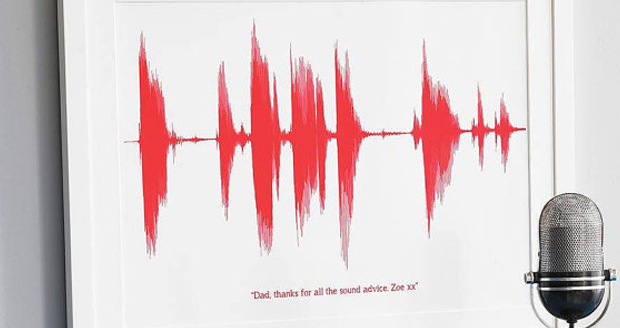 Available in several different stlyes and colours, your print will say what the soundwave represents beneath it. I wonder if they're prepared to lie? 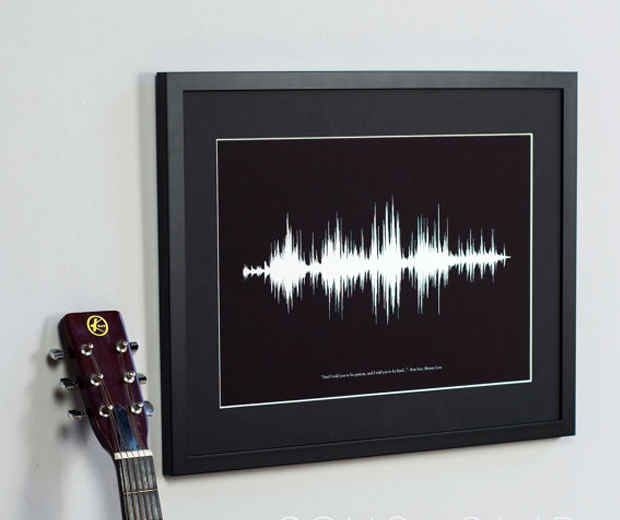 I'd love it if my sister thought her soundwave said she was beautiful, only for me to reveal on her death bed I called her a fat slag and had it immortalised in print.